Tango, in everyone’s daily life. 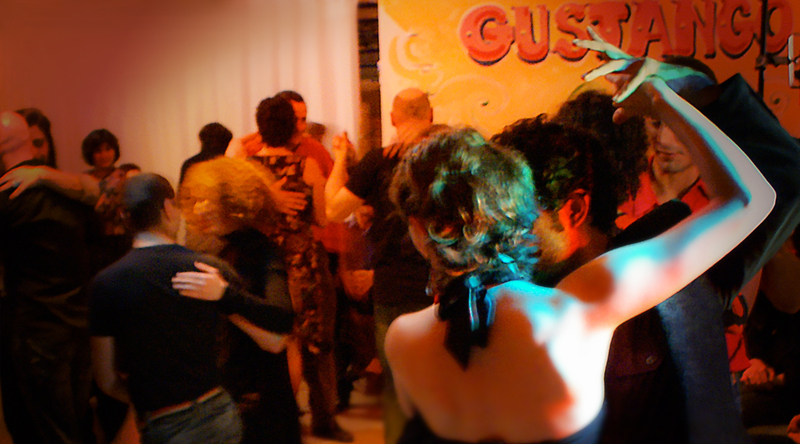 GUSTANGO was born when I personally discovered Argentinian Tango. It was during a night in 2004. I was curious and I pushed the door of a milonga in Toulouse (France). I immediately felt enchanted. The alchemy of the couples and the beauty of the moving figures and the facial expressions… everything was breath-taking. I literally succumbed to the charms of all of it. Meeting the householder initiated the beginning of my own learning and also impulsed a strong and creative friendship. 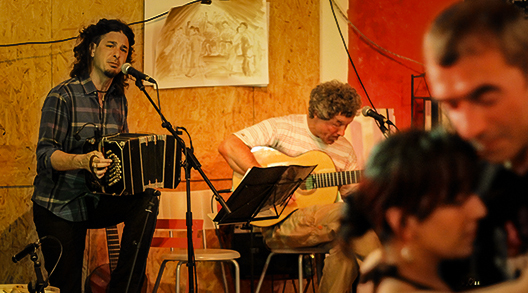 His name is Gustavo Gomez: he is an Argentinian tango and folklore artist and teacher. By practicing tango, I quickly felt the desire to express the subtlety and universal charm emanating from the dancing figures through my job as a stylist. The emotion of tango is made of elegance, charm and seduction. I was willing to express it and explore the dynamism of this so-creative dance and also magnify the moving silhouette. This is from this quest that GUSTANGO was born. Choosing the opposite rules of the fashion diktats, GUSTANGO proposes a generous fashion designing clothes for the greatest number of tastes , morphologies and personalities. They are made to enlighten a universal stylet liberating charm, elegance and seduction. Positioned on the medium- top of the range quality, GUSTANGO is a brand made in France and is very selective with the raw materials, of which most of them are coming from Europe, because of its historical textile expertise. FOR WHOM IS THE BRAND DEDICATED ? First, GUSTANGO is made for tango dancers who inspire the designer. But the clothes are very successful in other kinds of dances and also for everyday life. The ranges are wide, so everyone can find something fitting, whatever his or her morphology, personality and age. France : E-commerce website, Gustango showroom, shops specialized in selling dance products. Europe : Germany, Austria, Italy, through shops specialized in dance products. 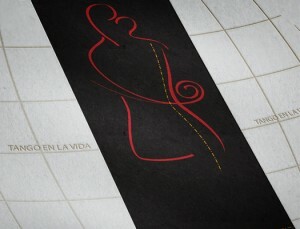 The subtlety of the tango emotion is to be always deeper explored to express itself in original everyday life clothing. The tango universe is particularly poetic to express the human being and his feelings. Its language is lively and nourished by love. Its effects are universal and will never go out of fashion. Tango, in everyone’s daily life. According to the desire or the daring of each one, depending if it is day or night and depending on the season or the occasion, the cursor can slightly move. The clothes are easy to wear and run. They are made to be comfortable and flexible enough to liberate the silhouette. There is an urban tango style emanating from the designs that is differently accentuated. They can fit for tango and other dances but also for other kinds of occasions (night parties, cocktails, ceremonies) and also for everyday life. We adapt some designs according to the specificities of each foreign country. GUSTANGO wishes to propose eternal and universal clothes inspired by the French Touch style, that is so original for a comfortable, free and charming figure. The ranges are wide enough in order to offer a large choice to please the greatest number of tastes and personalities. There is a permanent collection with the leader products. Also, men and women collections are renewed twice a year. They are permanently enriching the previous ones, following the desire to perpetuate and give coherence to the brand. I want to dress the tango emotion. 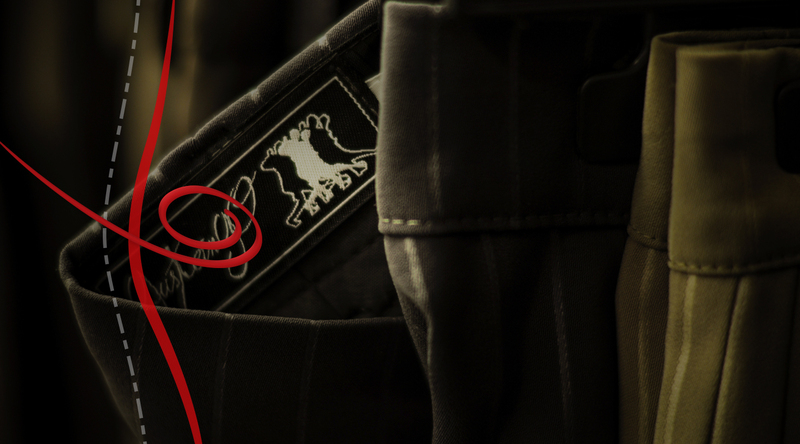 I work a lot in structuring the designs of the clothes. Looking for the perfect and unique line that will accompany the multiple movements is part of it. I like the fact that pieces of material cut and put together in a certain way can go along with the swinging silhouette or accentuate a hip and glorify the body. I am particularly attentive to enrich the figure with an extra-something that will suggest the soul, the personality and the charm according to its multiple sides. 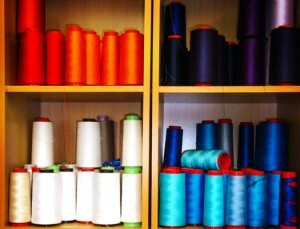 Then, my inspiration comes from the fabrics. They can be really sumptuous by their weaving and their colors; their density and the touch of their material. 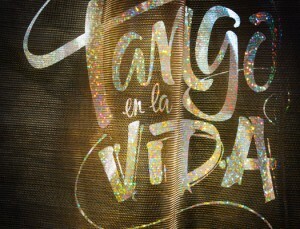 My goal is to enhance each one and succeed in expressing this universal “tanguera” beauty. Thus I am always having my creations being accessible to everyone, following the Argentinian Tango Road that is historically international and cosmopolite. It is just like an invitation to travel through cultures and continents. The company has 5400 sq workshop in the suburb of Toulouse, a city based in the South Western France. 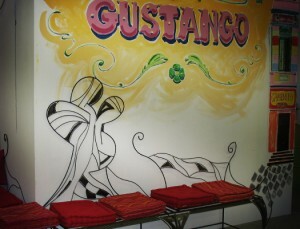 All of its units are integrated around the showroom of GUSTANGO that is regularly open to the public or by appointment. It is also the place where we organize some cultural events promoted by the brand. The brand GUSTANGO is operated by the company MODOID WORK SYSTEM SARL, existing since 2000. 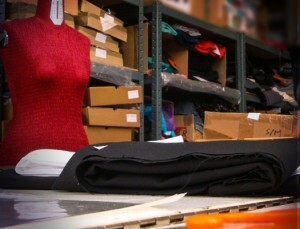 Its core business is to make professional clothes. GUSTANGO can benefit from this technical expertise, mostly about size gradation and clothes designing, knowing a lot about the extrapolation of the sizes. The company is specialized in consulting for look and visual identity. It gives a great pertinence to the collections. The company owns reliable production facilities and processes allowing a certain reactivity. GUSTANGO perfectly masters the quality and scheduling of the circuit by integrating the whole value chain (from choosing materials and designs; to cutting, assembling and controlling; and distributing). “I like GUSTANGO to be alive”: beyond the brand, it is a whole universe that is expressed here. Our offices are decorated so that we feel like being in some areas of Buenos Aires, just like an invitation for travelling. We organize milongas, peñas and concerts and welcome orchestras for their practices. 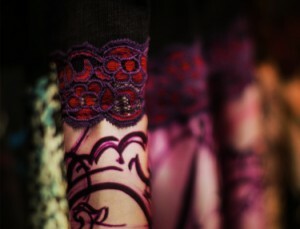 GUSTANGO also organizes fashion shows to present the new collections to the public. We also welcome the headquarters of the association De Mi Tierra. 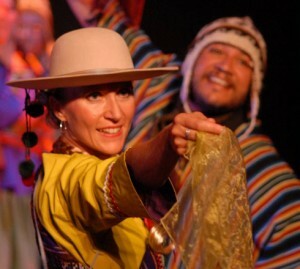 It is a folkloric group of traditional dances from Argentina. 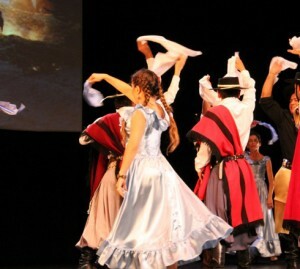 It promotes Argentinian culture through learning folkloric dances and creating theatre and street shows. De Mi Tierra plans monthly peñas. 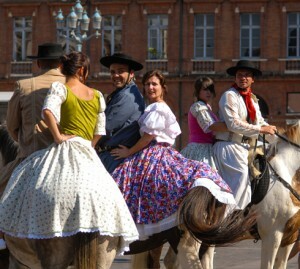 It is very important for us to promote and spread the multiple aspects of the Argentinian culture through these events. I really love meeting tangueros and tangueras by participating in many festivals. Sometimes we meet several times through the years and events. It is such a pleasure for me when they tell me how they have successfully worn a piece of cloth in a completely different occasion than tango. The expression “Urban Tango” is meaningful here. These nomadic exhibitions are essentials to inspire my creativity.